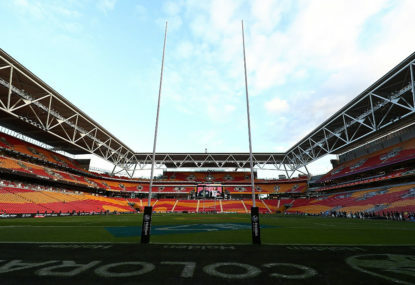 An entire NRL round will be played at Brisbane’s Suncorp Stadium in one festival-like weekend next May. 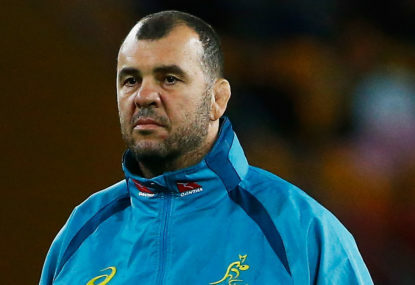 It was the refereeing controversy which had Wallabies players bewildered and fans livid but coach Michael Cheika could only praise his team for getting on with the job. 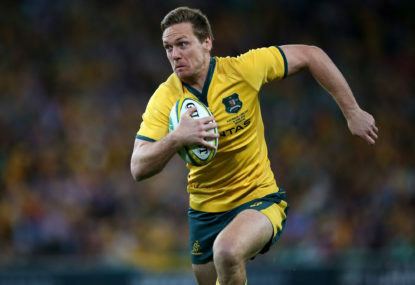 David Pocock has shown his immense worth to Australian rugby with a heroic Wallabies return at Suncorp Stadium to help end a 15-month Irish unbeaten streak. French club Toulon is again making life tricky for Australia’s rugby sevens squad as they wait to learn whether Quade Cooper is available for their final two world series tournaments. 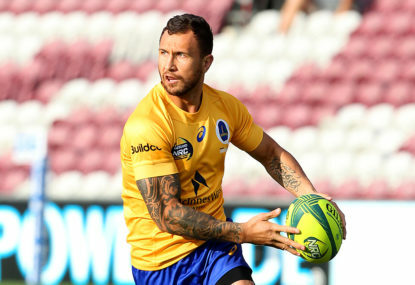 Quade Cooper is confident a “clear and detailed” three-way agreement will take him from frustrated spectator to Australian sevens playmaker next month in Las Vegas. New Zealand have once again broken the hearts of Australian rugby fans and maintained a stranglehold over their trans-Tasman rivals by denying a cherished home triumph at the Sydney Sevens. 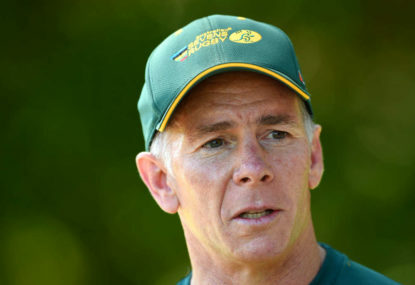 Australian coach Andy Friend says World Rugby must act quickly to ensure the debut of sevens at the Rio Olympics isn’t plagued by an embarrassing eight-man bungle like the one which struck the Sydney Sevens. Australia’s newest women’s Olympic team underlined why they will be true gold medal contenders at the Rio Games with a rugby sevens whitewash of Ireland. Henry Speight is the hired big gun, but it’s another Henry who is Australia’s new rugby hero after propelling the Thunderbolts into the Sydney Sevens semi-finals. New Zealand haven’t let a World Rugby investigation into an eight-man breach affect them at the Sydney Sevens, swatting aside the US 24-7 in their quarter-final. Australia missed the chance to take the big scalp they were after and put an exclamation mark on a successful first day of the inaugural Sydney 7s by drawing 17-all with arch-rivals New Zealand. Sonny Bill Williams has told Quade Cooper what’s most needed to surprise the doubters in his sevens gamble: “Buy a new set of lungs”. Australia have booked a quarter-final berth in the Sydney Sevens thanks to a brilliant individual display by Lewis Holland at Allianz Stadium. Strike weapon Cameron Clark underlined his cult hero status with a hat-trick of tries in Australia’s opening victory at the Sydney Sevens. The Springboks’ big-name sevens convert, Francois Hougaard, has no doubt Quade Cooper can gain Olympics selection despite limited exposure to rugby’s frenetic shortened game. Australian coach Andy Friend has stressed throwing Quade Cooper into the sevens’ deep end would have disrespected his regular campaigners and sacrificed Sydney 7s success. Don’t tell Australia’s regular rugby sevens game-breaker that bringing Quade Cooper halfway around the world to watch this weekend’s Sydney world series tournament is a waste of time. Sydney is set for a likely Sonny Bill Williams’ showdown with close friend Quade Cooper after the dual Kiwi international was selected to make his All Black Sevens debut. The Quade Cooper Olympic experiment has its green light and will lift off in a fortnight in Sydney after his big-spending French club, Toulon, finally bowed to Australian Rugby Union wishes. Olyroos striker Jamie Maclaren has punished his former side to help Brisbane Roar to the top of the A-League table after a nervy 2-1 home victory over Perth Glory.